Past editions of the Around the Ridges Newsletters are available here for the benefit of local residents who wish to read past issues or have not received a delivered Around the Ridges Newsletter; also, for anyone who is interested in our district. The Around the Ridges and a bit beyond Newsletters have ceased publication for the foreseeable future. 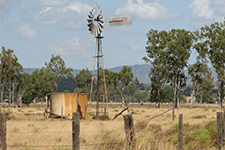 This website is for the benefit of residents from the northern and western, urban and rural centres in the Rockhampton region of Central Queensland. Anyone wishing to connect with the residents of Alton Downs, Balcomba, Bushley, Calioran, Canoona, Dalma, Fairy Bower, Garnant, Glenavon, Glenroy, Gracemere, Kabra, Kalapa, Lion Mountain, Morinish, Mount Carpenter, Native Cat Range, Nine Mile, Pink Lily, Prospect, Redbank, Ridgelands, Round Mountain, South Yaamba, Stanwell, Sugarloaf Mountain, The Lookout, Waroula, Westwood, Woodville, Wycarbah or anyone residing in the Rockhampton regional district can have their information included.